Mum and I are in the car traveling to my orthodontist appointment. We are chatting as we drive along. "Hopefully you'll have your braces off by Christmas," Mum says. I grin at the idea. "I hope so. I will have had them around two years," I reply. It's hard to believe I've had them for so long. "What a pity they won't be off in time for Callum's wedding," I comment. My brother Callum is getting married in only a few weeks. It would be awesome to have nice teeth for the photos. We arrive at the orthodontist. I sit down in the chair and wait while the orthodontist examines my teeth. He's very silent. What have I done wrong? Did I forget to do something he asked? The orthodontist clears his throat. "How would you like to get your braces off?" he asks. I stare up at him in shock. He must be joking! I'm at a loss for words. The orthodontist chuckles at my lack of an answer. "I'd have thought you would be eager to get them off," he teases. I'm too surprised and delighted to say anything for the rest of the appointment. Before we leave, the orthodontist sets a date and time for me to have my braces taken off. I only have to wait a week and a half! As we hop into the car I find my voice again. "I can't believe it!" I cry. Mum smiles at my excitement. "They will be off in time for Callum's wedding," I realize. "It's perfect timing," Mum says. 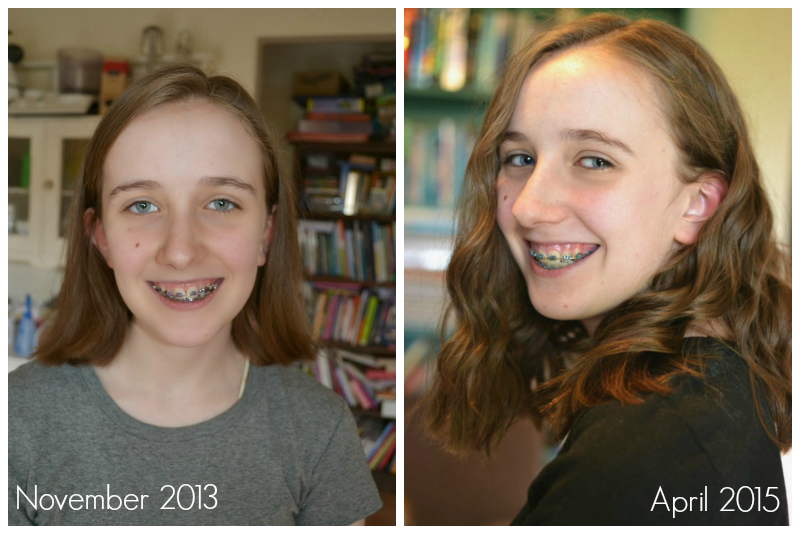 "I thought the orthodontist was joking when he asked if I wanted them taken off," I confess. "I didn't know what he was talking about," Mum laughs. She's silent for a moment. "We will have to go up to Sydney to get them off. Do you think Imogen would like to come?" I nod. "I reckon she would. Anyway she can navigate the trains better than we can." Mum has an idea. "Let's not tell her you're getting your braces off. We will just ask her if she wants to come on a trip to Sydney with us. I wonder if she will guess what's happening." I like the sound of her plan. I jiggle the whole way home in anticipation. We pull into our driveway and I follow Mum inside the house. We head straight to where Imogen is practicing the piano. "Would you like to join Sophie and I on a trip to Sydney?" Mum asks her. Imogen looks from my massive grin to Mum. "Of course," she agrees. After a moment she adds to me, "You're getting your braces off, aren't you?" "You guessed it," I cry. Imogen can't be fooled. "I knew as soon as you entered the house," Gemma-Rose tells us. "Why else would you look so happy?" In just ten days I will be traveling up to Sydney on the train. When I come back I'll have the perfect grin! Have you had braces? What did you think of them? We had to travel on the train when I got my braces put on. It's not as exciting as I expected it to be. Thank you! I will make sure to post about it. That's awesome Sophie! and perfecting timing too! I've never had braces and will probably never need them. Thank you! It did seem very perfect.